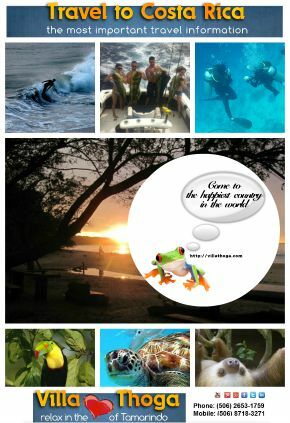 Where is Tamarindo Costa Rica? Where is Tamarindo Costa Rica? 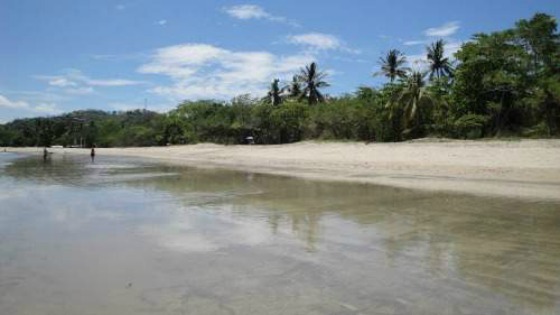 Tamarindo is the most popular and best beach town in Costa Rica. Located on the Nicoya Peninsula in the Province of Guanacaste. Northern Pacific coast of Costa Rica. Where is Tamarindo Costa Rica on a map? Now you know exactly where is Tamarindo located. Your next question could be how is the weather in Tamarindo Costa Rica? Or when to travel to Costa Rica. Specially Tamarindo. If you love warm weather, you’re in Tamarindo in the right place. Most of the year we have here in Guanacaste more than 30 degrees Celsius. Which brings me to the Costa Rica rainy season. Here in Guanacaste we have too little water. The rainy season starts normally in the middle of May. And that is God’s blessing fort the „Ticos“. Because now start the green season. A few days with a little rain making Costa Rica, especially Guanacaste to a green paradise. Today is June 30, and since the beginning of May, it has rained only 4 or 5 times. The only month you should avoid is October. In this month we have really every day a lot of rain. So, Tamarindo could be your choise to vacation the whole year. And Tamarindo is really one of the first Costa Rica towns to visit. 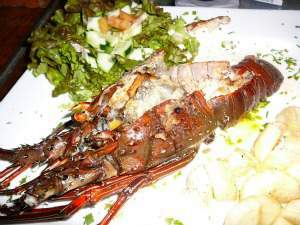 Where to eat in Tamarindo Costa Rica? You have the choice between around 45 restaurants. If you check the menu, be careful on the price. Because most restaurants charge the 13 % Costa Rica Tax extra. As well as 10 % for the service. We, from Villa Thoga recommend our clients only around 10 restaurants. Restaurants where you eat excellent. But without paying the “Gringo Prices”. We strongly recommend a visit to a typical Costa Rica Soda (typical food in Costa Rica). It really is a must have in Tamarindo and in Costa Rica. A secret tip for the best Pizza in town. Secret because you do not find this restaurant on the Tamarindo Boulevard! We will show you where to find. And for really affordable prices. [wysija_form id=”1″] WE HATE SPAM LIKE YOU! We never do it! We don’t share your email with anyone else! Where to go out in Tamarindo? Where to stay in Tamarindo Costa Rica? Looking for a quiet accommodation, but still only a few minutes’ walk from nightlife, the restaurants, supermarket, shopping and the beach? Then, please check our Villa Thoga. 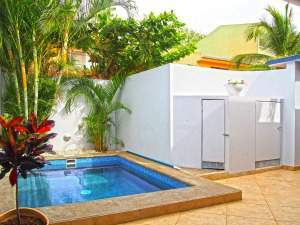 Villa Thoga is 1 of the most private vacation rentals Tamarindo Costa Rica has to offer.